This case involves the murder of the husband of the defendant. An elderly gentleman, he was found dead among apple trees on his property in Paradise Township, having been shot multiple times. His body was found underneath several carpet remnants which had been carefully placed over his body. Next to the body, someone had laid his Knights of Columbus baseball cap. Several feet away from the body was the victim’s pickup truck. Next to it, was a bucket of apples. Earlier in the day, the victim had been reported missing by his wife, Eleanor Nicolosi. She claimed that he was on his way to a meeting at the Knights of Columbus. She indicated that they were out in their orchard picking apples earlier in the day. She believed that he was going back to pick up the apples, which she claimed they had forgotten. Based on her story, the police walked up to the orchard area and discovered the body. 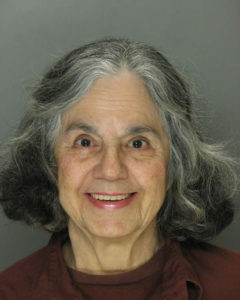 After several years of investigation by the Pennsylvania State Police and the Office of District Attorney, Eleanor Nicolosi was eventually arrested for the murder of her husband. The evidence is too voluminous to go through in any detail here. Suffice it to say that it was entirely a circumstantial evidence case. The defendant was tried before a jury and she was convicted of first-degree murder and tampering with evidence. At that time, she was 69 years old. After appeal, the Pennsylvania Superior Court reversed her conviction. Similar to the issue in Levandusky and Fransen, the Superior Court ruled that it was error to introduce evidence of a conversation the victim had with a close friend in whom he claimed he was afraid of his wife and told of an incident where they had been walking together in the orchard. She was somewhat behind him. When he turned around he saw her pull a gun. This startled him. She then said she purchased the gun because she wanted him to teach her how to shoot. He taught her how to use the gun. The Superior Court ruled that this evidence was inadmissible and gave Eleanor Nicolosi a new trial. We went to trial for a second time. After extensive evidence and argument, a jury once again convicted Eleanor Nicolosi of first-degree murder. She’s been sentenced to life without parole. Apparently, Eleanor is representing herself on a new round of appeals. She has been represented by approximately 6 different lawyers since the start of the case. As an aside, one of the jurors from the first trial was so intrigued by the experience that upon completion of college, she obtained a law degree. On January 3rd of this year, she became the newest Assistant District Attorney for Monroe County. Congratulations, Kelly!